Your physical body exists at a specific location in space and time. In order to relocate physically, you have to travel to the new location. Your mind, however, is free to roam to different locations and even to other points in time. In recent decades, Remote Viewing – the mental viewing of remote locations – has been developed into a highly disciplined method of obtaining information from other locations in time and space. Many people have experienced their own versions of this skill in the form of precognition or deja vu, where scenes that you suddenly recognize in your life are scenes that you had previously viewed while in another state of consciousness. Deja vu occurs because you, as a soul, pre-planned the major themes of your life before your were born. You chose the time, the place and your parents in order to set a life plan in motion which would explore the desired themes. Such pre-planning gave rise to the occurrence of related, meaningful events in your life which may have given you the impression that pre-destiny does exist. To a degree, destiny does exist. The major themes of your life are pre-planned, by you, ahead of time. As you pass through life, certain names, places, people and activities resonate with a certain special-ness in your consciousness. It’s almost as if you knew these events once before, but you can’t quite remember when or where. That is so-called destiny, unfolding into your life along the lines of pre-planned, pre-viewed events. In the phenomenon called deja vu, this previewing occurred either during your pre-life planning or in a recent, out-of-body, dream-state where, in order to help yourself remain on-purpose, you reviewed the important, upcoming events in your life. Your soul, or inner self, has the capability, not only to see, but to BE in different locations in space and time. Physical life is a projection of consciousness, which appears to be solid, which appears to be fixed in location, and which appears to run along a linear timeline. Solidity, space and time are all projections of consciousness in the theater of life. They are nowhere near as fixed as we have been led to believe. When a particularly vivid example of deja vu occurs, it is not just the recall of a recent dream, it is more likely to be a real-time connection with your inner self – your complete consciousness – when you were planning this lifetime of experience. Your inner self can look into how a plan of action would work out by connecting with the actual event at the time and space location where the event will occur. It can be a little disorienting to be living your regular life and suddenly have a brief connection with your inner self as it was working through the planning stage of your life many years ago before you were born. In fact, you can come out of such a contact with your complete, inner self consciousness wondering – just for a split-second – where you are, and what the date is today! Such an experience is an excellent example of the wide-ranging consciousness of your inner self. It has the ability to relocate to and directly experience other locations in space and time. As you progress in the development of your consciousness you will acquire more and more of the attributes of the expanded consciousness of your complete, inner self. Your daily consciousness is a tight focus, a subset, of your complete consciousness. That daily, waking consciousness is now expanding to incorporate more of the capabilities which you already possess within your complete, inner self. Now that The Shift to the New Reality is occurring, this type of inner development is accelerating rapidly. As time passes, you will become more and more capable of perceiving other locations in time and space. Owen K Waters transforms the mysteries of spiritual metaphysics into clarities. As an international spiritual teacher, he has helped millions of spiritual seekers to better understand the nature of their spiritual potential. Through his fifty years of experience as a macromystic – one who is concerned with the creation and evolution of the universe – he has become a master of the field of spiritual metaphysics. Answers to some of the most teasing mysteries of both metaphysics and physics have emerged from his awareness, often through inspiration from ascended masters from the higher planes of consciousness. 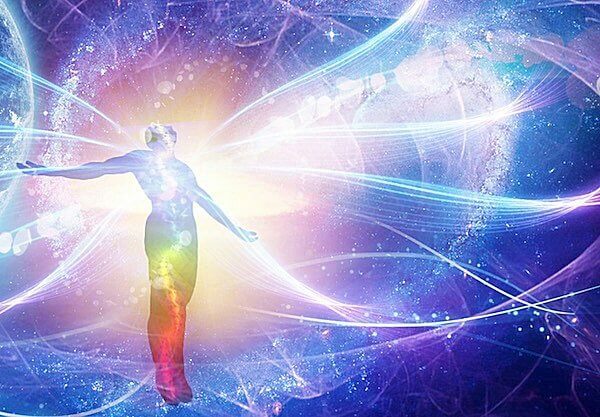 The Shift in global consciousness is opening the doorway to soul development as the next step in spiritual growth. Through his work at the Spiritual Dynamics Academy, www.SpiritualDynamics.net, Owen can teach you how to develop rapport with your soul level of consciousness, continually filling your life with inspiration, joy, and creativity.